Are you still polishing your glasses by hand? 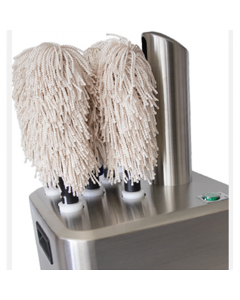 if so, then you should try a glass polisher in your restaurant. 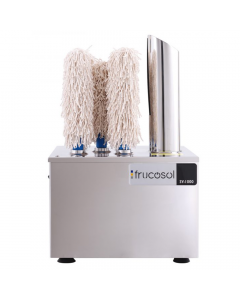 Using these machines is proven to save time and money in your business by reducing the need to use waiter staff or dedicated glass washers/polishers to keep glassware clean. 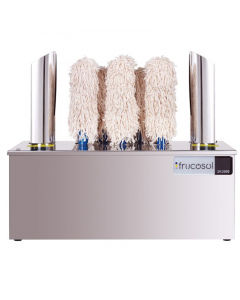 Improve diners experiences in your restaurant by removing any risk of cross contamination from dirty glass cloths, improving health and safety, adding additional shine to your glassware all at the same time as saving money. With our glass polishers taking the strain and doing the glass cleaning and polishing for you, it also takes away any risk to your employees. Glass cleaning, especially champagne flutes, can be a very tricky and dangerous task due to the flutes high sensitivity and propensity to break. Our glass polishing machines not only clean and polish to a very high standard; they also do so without damaging the glasses, no matter how delicate and tricky they are.